Hello sweeties :)) In last year I a got a lot of lovely gifts but here I am to show you just two of them but don't worry more will come a little bit later. 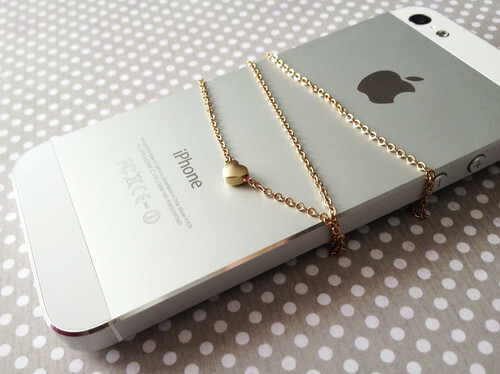 I bought myself the new iPhone 5 and also I got gold heart necklace from my sister. And you know what this is a secret but I just have to tell you because you are my friend, that soon will be available gold collection in ManuelaS store.